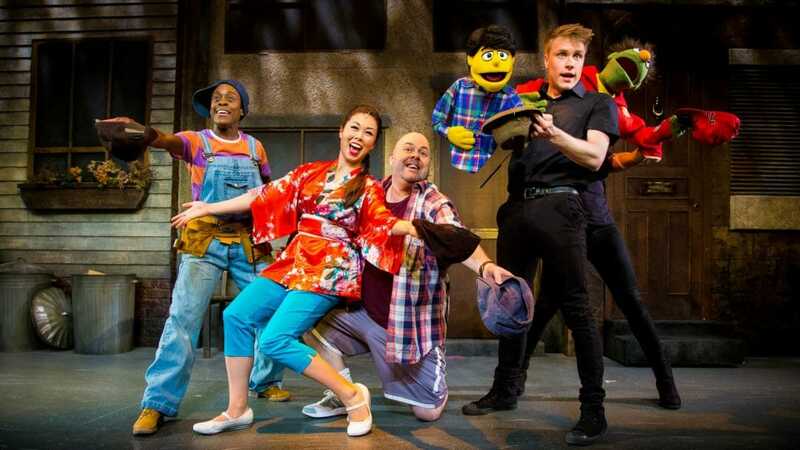 The naughtiest puppets in town will be coming to a venue near you as comedy musical Avenue Q returns next year to tour the UK with all of your favourite fuzzy friends, opening at Portsmouth Kings Theatre 25 January 2019. Avenue Q is produced by Selladoor Worldwide (producers of Footloose, Little Shop of Horrors, Flashdance – The Musical and Fame – The Musical), Showtime Theatre Productions and in association with Richard Darbourne Limited – Avenue Q is directed and choreographed by Cressida Carré, designed by Richard Evans, Lighting Designed by Charlie Morgan Jones and Sound Designed by Chris Bogg. Puppets are designed by Paul Jomain of Q Puppets with Puppet Coaching by Nigel Plaskitt.